We are delighted to invite you to our annual conference Czech-BioImaging Scientific Conference – Imaging Principles of Life 2019, which is to happen on the 15th – 16th of May, 2019 in Zámecká jízdárna in Lednice na Moravě. The conference is open to the Czech-BioImaging users and everyone interested in microscopy. Participants pay only for accommodation and travel costs. The conference is organized as part of the MEYS project for the support of large infrastructures called National Infrastructure for Biological and Medical Imaging (Czech-BioImaging). Part of the conference is co-organized in cooperation with CSMS and follows the conference "Microscopy 2019". Both events blend together and have a joint program - the afternoon session on May 15th. Global BioImaging (GBI) offers an international job shadowing program that gives the opportunity to technical and managerial staff to visit imaging facilities across the globe and learn from their peers. The GBI partners have decided to continue it beyond the duration of the GBI H2020 grant (which will reach its end on November 30th, 2018). As a result, the Institute of Molecular Genetics in Prague, Czech Republic decided to extend their participation in the project. The MC 2019 will take place at the Technische Universtät Berlin - located in the heart of Berlin, the capital of Germany and world city of culture, politics, media and science, with a wealth of famous sights like the Brandenburg Gate, the Reichstag Parliament building, and the Cathedral of Berlin. 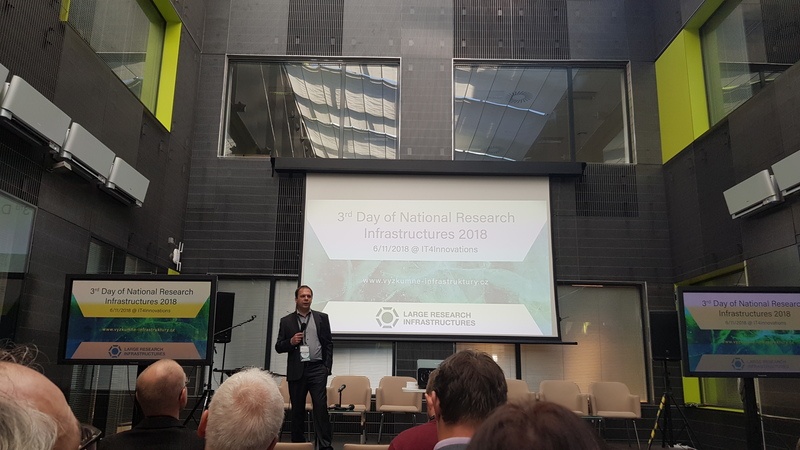 On the 6th November 2018, Day of National Research Infrastructures 2018 took place in Ostrava Poruba. Course "Superresolution in Light Microscopy"
The course will take a place at Institute of Molecular Genetics and partially at BIOCEV, in November 12 - 14, 2018.
in November 12 - 14, 2018. The main aim of the course is to learn how to think about SR methods and experiments in the context of the project requirements. Therefore, during the course, the participants will get all important theoretical background and will be motivated to work independently with the advanced microscopes during those long hands-on sessions. Because the course is intensive and participants will be really in touch with the microscopes, the capacity of the course is limited to 12 participants. Following a two-year evaluation process by a panel of international experts, the European Strategy Forum on Research Infrastructures (ESFRI) has granted Euro-BioImaging the Landmark status of “European Research Infrastructure for Imaging Technologies in Biological and Biomedical Sciences”. This status is recognised by the European Commission as a benchmark for quality, and recommends that Euro-BioImaging is the “go-to” Research Infrastructure to support imaging research across Europe. ESFRI monitors and provides strategic guidance to pan-European Research Infrastructures, like Euro-BioImaging, to ensure that Europe has the world-class resources it needs to support science and innovation. Landmark Research Infrastructures score highly on numerous parameters including: scientific excellence; ability to reinforce critical areas of European research competitiveness; long-term sustainability; contributions to innovation, and; education and training. As such, achieving Landmark status recognises the importance of Euro-BioImaging in supporting excellent research across Europe. The aim of Euro-BioImaging, is to break down the barriers associated with biological and medical imaging. It does this by providing open access to imaging technologies, resources and expertise to scientists across Europe to alleviate the bottlenecks in their research. Seats are limited; don't hesitate to register or submit a poster abstract by July 15th. Looking very much forward to welcoming you to the ILS Meeting 2018! Winners of the Euro-Bioimaging Image and Video Competition "Research. Captured." Daniel Gütl form IST Austria with his image Coral Reef. Marco Aiello from NAPLab - IRCCS SDN, Napoli, Italy, with his image Multimodal view of the human brain. Matyas Molnar from BioVis platform, Uppsala University, Sweden, with his video Zebrafish development. RItrain - STAFF EXCHANGE PROGRAMME: How to manage stakeholders? And to build an high-profile community? The proposed staff exchange focuses on stakeholder management and community building in the field of biological and medical imaging, but can be easily transferred to any field.The staff exchange is divided into three parts. First part will be devoted to presentations and discussions with staff working in the Czech-BioImaging hub at the Institute of Molecular Genetics (IMG). The second part covers participation in meetings of the Czech-BioImaging steering committee and the Czech-BioImaging advisory committee and individual talks with selected members of these committees. The third part consists of a wrap-up session at IMG, during which the participants will discuss with the IMG team the outcomes of the staff Exchange and possible future cooperation. Call for applications for studies starting in September 2018 is opening soon! The event is organised for research infrastructures by research infrastructures. "for developing cryo-electron microscopy for the high-resolution structure determination of biomolecules in solution". Cílem tohoto časopisu je poutavou formou představit výzkumy vědců a vědkyň z Akademie věd ČR. Právě vychází třetí číslo populárně-naučného časopisu A / Věda a výzkum. Jeho ústředním tématem je mikroskopie. Dočíst se v něm můžete také o metodách poznávání života lidí bez domova, netradičních přístupech současné filosofie, o potravinách pro budoucnost a o odkazu českého nobelisty Jaroslava Heyrovského. EATRIS is the permanent EU infrastructure for translational medicine, of which Czech Republic is a member country with 10 research and clinical institutes as members. 3rd biannual EATRIS conference will be held on 24 - 26 September 2017 in Prague. There will be a series of workshops on the first day of the conference, and the session that you may be interested in is ‘ HOW MOLECULAR IMAGING CAN SUPPORT THE DEVELOPMENT OF NOVEL CNS DRUGS’. Using molecular motors and supported lipid bilayers as model systems, and also live cells for some methods, you will carry out state-of-the-art single-molecule detection and imaging using Fluorescence Correlation Spectroscopy (FCS) based methods and Total Internal Reflection Fluorescence (TIRF) microscopy. You will also use Optical Tweezers to manipulate single molecules and to measure forces exerted by single molecular motors. Course "Biological Specimens in Electron Microscopes"
This practical course is focused on the advanced methods of biological specimen preparation for electron microscopy. The main goal is to make participants familiar with the theoretical background and the latest practical developments in this field. The programme includes state of the art fixation including cryo-methods, cutting of ultrathin sections from embedded or frozen samples, methods of negative staining and immunolabeling, specimen preparation for 3D electron microscopy and methods of specimen preparation for scanning electron microscopy. The results will be evaluated using electron microscopes. The course is limited to 15 participants. It is intended for Master and PhD students, young researchers, technicians and new users of EM. Biological and medical imaging technologies have for the last years been very rapidly evolving and continue to do so with no end in sight. To provide the best possible offer in these changing fields, the open access infrastructure Euro-BioImaging* is faced with the challenge to continuously develop its services and extend its technology portfolio. To be able to achieve this together we would like to ask you directly for your input by suggesting new technologies in the fields of biological and medical imaging that could become relevant for open access services and therefore should be considered for further proof-of-concept studies by Euro-BioImaging. You can easily provide your input by filling out a short online form on the Euro-BioImaging interim web access portal. We are currently collecting new technology proposals for presentations on new technology needs during the Core Facility Satellite Meeting and the Euro-BioImaging Satellite Meeting at the upcoming ELMI Meeting 2017 in Dubrovnik (23.-26.5.2017) together with the already submitted proposals. The proposal form can of course be used at all times, but proposals made until Friday the 19th of May would be very helpful in preparing these activities. Please help us with your proposals in shaping the future technology offer of Euro-BioImaging to best match the needs of the imaging communities. Looking forward to your inputs! The Masters programme is tailored for busy executives by organising its 60 ECTS into a mixture of face-to-face and online activities held by international faculty and top managers from RIs. The face-to-face modules last 3-4 days and run over 18 months. Previous education and experience will be recognised depending on our evaluation and pre-entry assessment. More detailed information can be found in the leaflet. (deadline for submission: 31 March 2017). Applicants are requested to submit a motivation statement and a CV as part of their application. As space is limited, applications will be evaluated along criteria specified in the call texts. There are no fees to participate, subsistence is included but selected delegates will need to cover their own travel and accommodation costs. After positive evaluation this programme shall be continued with new calls for 2018 to be published towards the second half next year. IPHYS workshop "Femtonics advanced microscopy"
Workshop "Interactive analysis of microscopy images in Imaris"
Summer School "Advanced Methods in Biomedical Image Analysis"
This summer school is focused on the advanced methods of biomedical image analysis. The main goal is to make the students familiar with the state-of-the-art advanced methods such as level sets, graph cuts, mathematical morphology, image registration and fusion approaches, optical flow for time-lapse imaging, multi-dimensional image acquisition and analysis, biomedical image data properties (e.g., noise types), etc. Focus will be on methodology suitable for multiple applications (multiple modalities) rather than a particular application. Target group are Master and Ph.D. students of computer science, mathematics or engineering backgrounds specialized in signal and image processing. Students are supposed to know basics of signal and image processing and have some programming experience in this field. The main activities of the course will be theoretical lectures supplemented by practical examples on computers. Workshop "Confocal imaging of large specimens on macroscope"
We would like to invite you to a workshop "Confocal imaging of large specimens on macroscope", which takes place on 7 - 8 February 2017 at the Institute of Molecular Genetics (IMG) CAS in Prague. High resolution, fast imaging and extreme sensitivity are provided by the original disc design (DSD - differential spinning disc), "on the fly" image processing and great Andor camera Zyla. Feel free to attend the introductory lecture and see the complete system, or register for the hands-on sessions. We are looking forward to showing you the system and answer all your technical questions. For more information please see the poster. The RItrain project is organising staff exchange programme visits as part of the mission to share management expertise among European Research Infrastructures. The first 3 calls were published on the RItrain website. Three positions (operators / scientists) available in the Center for Advanced Preclinical Imaging (CAPI), First Faculty of Medicine, Charles University, Salmovská 3, Praha 2, Czech Republic. Eric Betzig wins 2014 Nobel prize in chemistry. Janelia group leader Eric Betzig won Nobel Prize for the development of super-resolved fluorescence microscopy. Eric Betzig shared Nobel Prize in Chemistry with Stefan Hell of Max Planck and William Moerner of Stanford. The trio were awarded the Nobel for surpassing the limitations of the light microscope. The Institute of Physiology seeks a graduate/postdoc for the position in Image analysis and Confocal microscopy, and a Confocal microscopist. 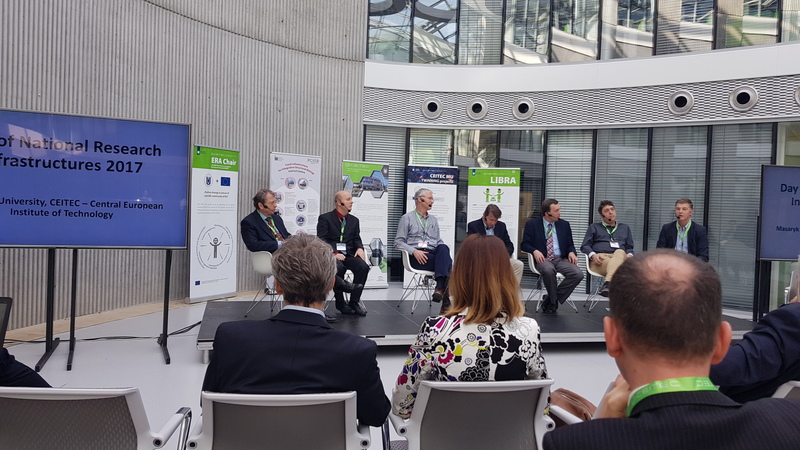 Czech-BioImaging participated in the Day of National Research Infrastructures organized under the auspices of the Minister of Education, Youth and Sports Kateřina Valachová and of the Council for Research Infrastructures on 3 November 2016 at ELI-Beamlines in Dolní Břežany. The application period for studies in Master´s Degree programme in Biomedical Imaging opening soon! The application period for studies starting in August 2017 is opening soon (December 1st 2016 - January 13th 2017). EuBI Newsletter No. 8 “Access Opportunities for You"
First open call for job shadowing within the Global BioImaging Network now open! it's with great pleasure that we announce that the first open call for international job shadowing in imaging facility management and operation is now open! If some of your facility staff members wish to make a period of job shadowing at another facility within the Global BioImaging (GBI) Project Network (Australian National Imaging Facility, Australian Microscopy & Microanalysis Research Facility, India-BioImaging), they can now apply to the program and receive one of the available travel grants. The deadline for applications is 23 October 2016, and the first shadowing visits are foreseen to take place at the beginning of 2017. We kindly invite you to the workshop "Advanced Imaging and High-Throughput Microscopy - GE Cell Analysis Symposium" consisting of scientific lectures and exhibition of Cytell and IN Cell 2200. The workshop is organized in the Czech-BioImaging framework. Registration is free, however please register as soon as possible due to capacity limits. Czech-BioImaging was invited to present a show-case at the Global-NioImaging. Pavel Hozak delivered a keynote speech "Case Study: The Czech Republic -­ from community building to participation as Euro-BioImaging Node" at the first Exchange of Experience Workshop on 8th June 2016 at the EMBL in Heidelberg Germany, organized by the Global BioImaging Project. 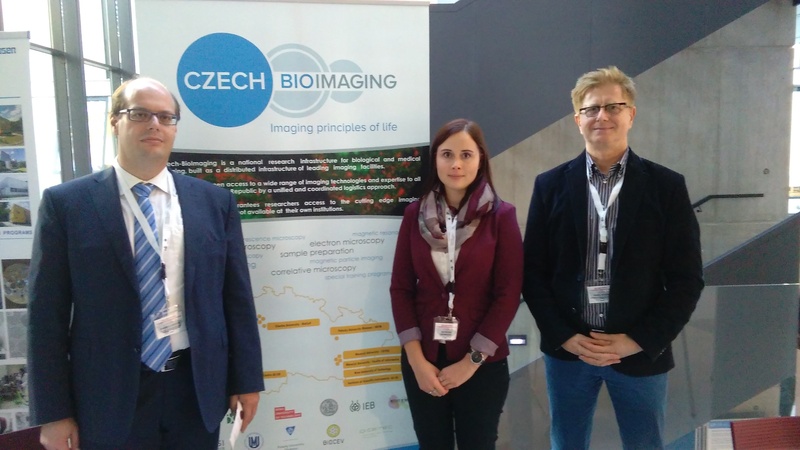 The Czech-BioImaging has opened a call for financial support to promote the Czech-BioImaging open access. The Czech government approved on its meeting on 21 December funding of large research infrastructures for the period 2016 – 2019. The Czech-BioImaging, which received A2 classification in the international evaluation, will be funded by 90% of the requested budget in 2016 and 80 % in 2017 – 2019.